The start at St Francis Bay Marina, from L to R: Vuyo Zondani (NSRI Waterwise Academy), Mandy Uys, Joy Roach, Nicky van Nierop and Andrew Chin – with NSRI Waterwise and NSRI St Francis crew. 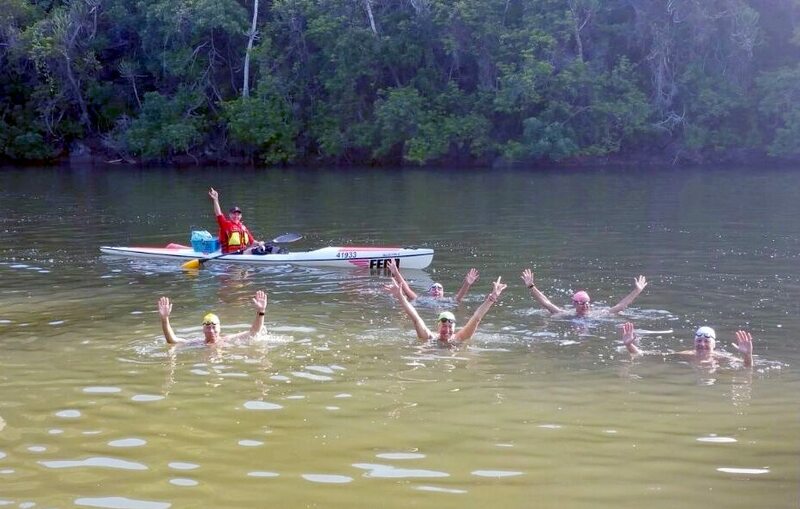 Five intrepid open water swimmers have conquered seven of the estuaries in the Eastern Cape to raise awareness around the poor state of our country’s rivers and to highlight the urgent need to restore them. The athletes set off from the mouth of the Kromme Rivier in St Francis Bay on Saturday 14 October and completed their final 2017 swim at the mouth of the Nahoon River in East London on Saturday 21 October. During the course of the week the swimmers covered daily distances of between 5km and 11km in the Kromme, Gamtoos, Sundays, Kariega, Kowie, Keiskamma, Kwelera, and Nahoon rivers. “Swim for Rivers” involves a small group of athletes that is attempting to swim major rivers in each of South Africa’s nine provinces. The intention of Swim for Rivers Eastern Cape, the fourth event of this extreme swimming challenge, was to focus specifically on estuaries, which are the critical link between our freshwater rivers and the sea, and to convey the message that rivers, estuaries and oceans are interconnected and entwined, meaning that pollution of one implies pollution of all. The swimmers overlooking the Kariega River while preparing for the day’s swim. 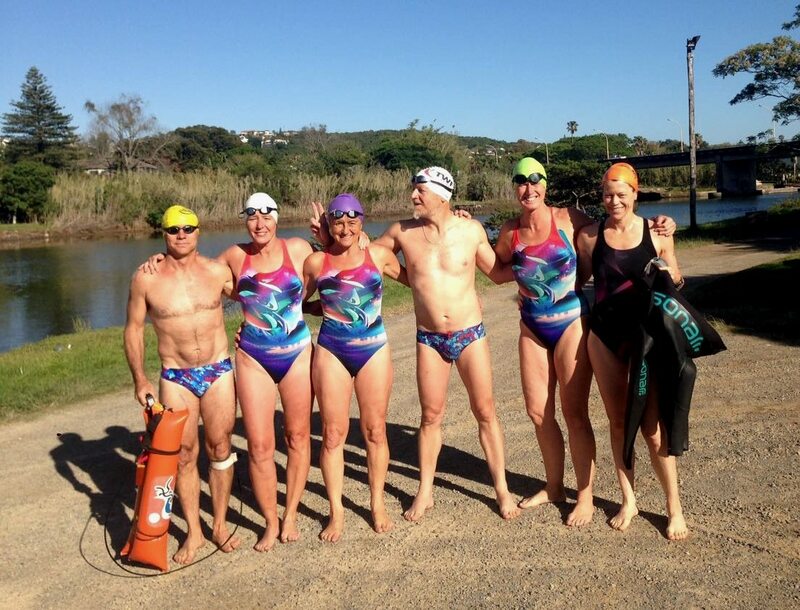 The team consisted of five seasoned open water swimmers Andrew Chin, Mandy Uys, Joy Roach, Sean Murray and Nicky van Nierop. While the swimmers have described the experience as “a rather epic week” they returned inspired by the warmth and enthusiasm of the locals; in awe of the wildness and beauty that they encountered on some of the estuaries; and optimistic that broken rivers can be fixed with the appropriate interventions, funding, and time. During their swims, they found silted river mouths and plastic pollution in most of the rivers, with a strong smell of diluted sewage present in a couple of them. They also endured challenging weather conditions throughout the week including very cold temperatures, rain, and a pumping head wind at times. The swimmers’ programme included visits to local schools – including some participating in the WESSA Eco-Schools programme – where they interacted with around 800 learners over the week. During these visits the swimmers were able to share a message of the vital importance of our rivers, how they function, and the role that everyone needs to play in looking after these precious natural resources. Learners were also shown how they can use citizen science to monitor their own rivers and were given a short lesson in water safety. The end of the swim on the Kwelera River. The swimmers also met with three groups of WESSA Tourism Blue Flag Beach Stewards along the way, which created a great synergy with these passionate young people, who are promoting coastal environmental education as part of the three-year coastal tourism and youth development project they are participating in, implemented by WESSA in partnership with the National Department of Tourism. In addition to raising awareness and encouraging individual corrective action, the 2017 Swim for Rivers for Life athletes hope that their initiative will spark debate about what the relevant authorities and public can and should be doing to manage and protect our rivers. 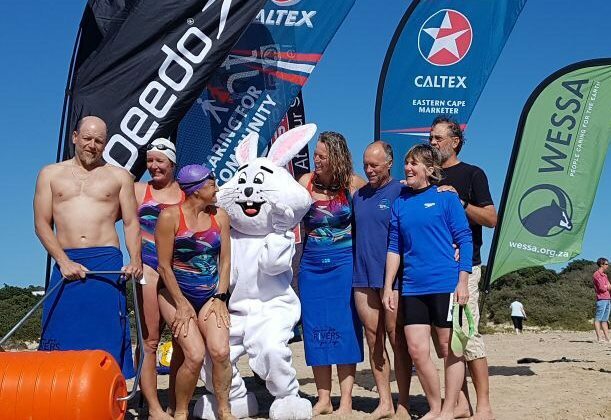 The finish, at the Nahoon River mouth, from L to R: Andrew Chin, Nicky van Nierop, Mandy Uys, the Caltex Rabbit, Joy Roach and Sean Murray with their support team Lynne Reeves and Bruce van Nierop. Swim for Rivers for Life was supported by WESSA and a small ground crew, as well as a number of sponsors including Speedo, Caltex Gonubie, Chatz Connect (cellular), Hippo Rollers, Aqua4Life water-purifying LifeStraws and other equipment, Superspar Vincent & Southernwood East London, Sanans East London, NSRI Water Wise Academy, NSRI crew St Francis, Biogen, and Amatola Water. 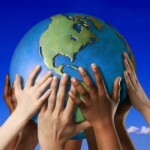 WESSA strongly supports this ongoing initiative, which is in line with the organisation’s aim to promote public awareness and participation in caring for the earth. 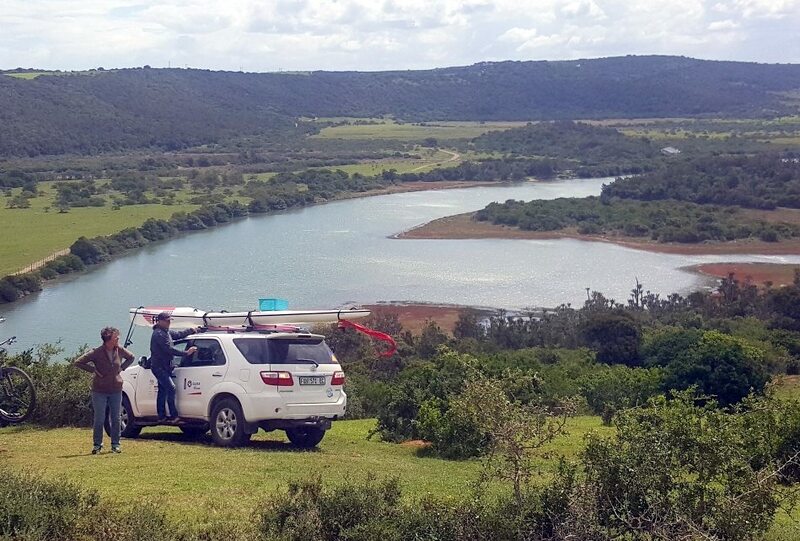 One of WESSA’s key objectives is to promote the health of our strategic water catchments and rivers by actively monitoring and reporting their state.